Non bleeding flat yellow color suspended in mp soap base! 1 bar is 6 cubes. 1 cube colors approximately 5 lb. of mp soap (depending on desired shade). 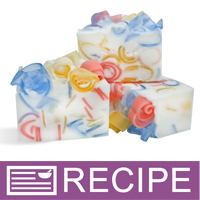 Color: Produces a vibrant color in clear soap base. A pastel color is produced in opaque (white) soap base. This product is only approved for melt and pour soap base because it is a color suspended in melt and pour soap base. Call our offices to mix and match different colors for 5 bar price break! One bar contains six cubes. 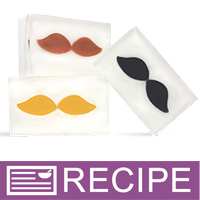 Depending on the desired shade, one cube colors approximately ten pounds of MP Soap. Propylene Glycol, Sorbitol, Glycerin, Sodium Laureth Sulfate, Sodium Stearate, Sodium Myristate, Sodium Cocoyl Isethionate, Water,Iron Oxides. 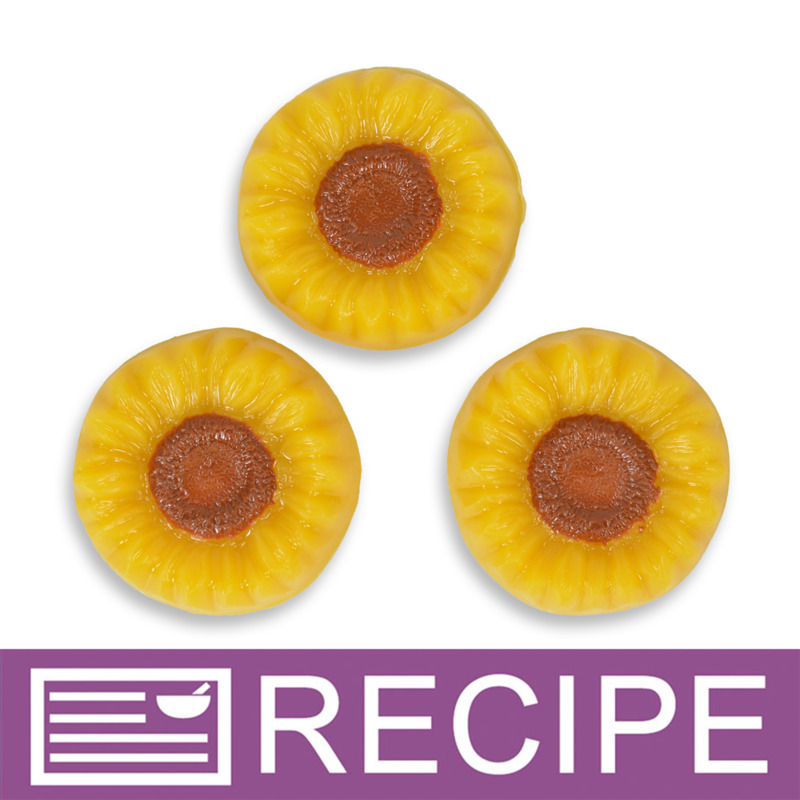 DIRECTIONS: Cut desired amount from the color bar and melt into warm soap base at 130-140ºF. 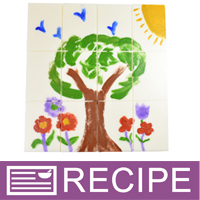 To color your product, start with small amount of color and increase as desired. Adding this color to white soap will produce a pastel colored bar. Adding this color to a clear base will produce a bright colored bar. TIPS: Using too much color may cause staining. 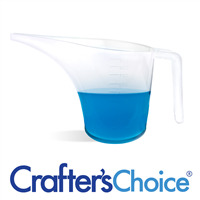 Test your final product to ensure optimal performance and no staining. Protect work areas and clothing when mixing. CAUTION: Approved for melt and pour soap. Not approved for general cosmetics, eye and lip products. For external use only. Keep out of reach of children and pets. COMMENTS: color is vibrant, very easy to work with! 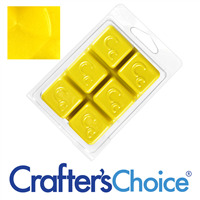 COMMENTS: This is great for melt and pour soaps. 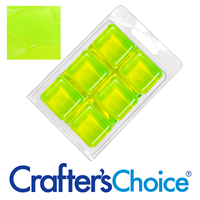 It melts easily and can also be used with other colors to create unique colors. COMMENTS: Makes the perfect color for honey! 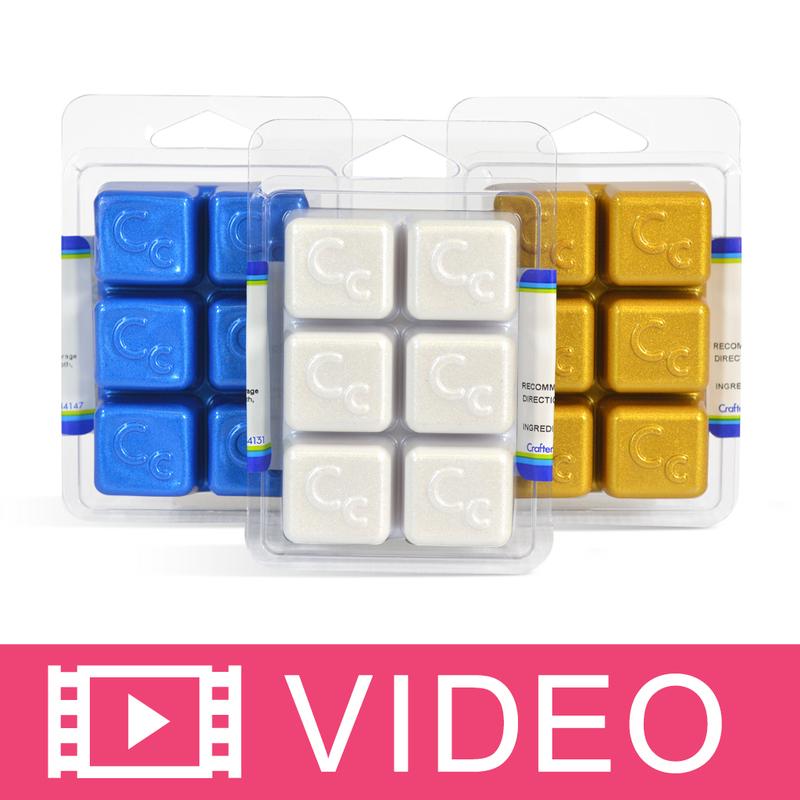 COMMENTS: I love the color bars, They make coloring my soaps so much easier. I use less than one cube for a 5 lb batch and it gives the perfect color. SO glad I tried these. 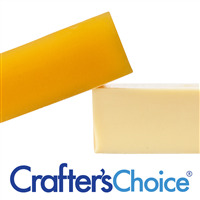 "Crafters Choice™ Matte Yellow Soap Color Bar"
COMMENTS: This is the tint I use for my lemongrass soaps with just a bit of the chopped dry herb, looks great. "Weird crusty things on the outside layer?" COMMENTS: I got this in the sample kit. All the rest of the cubes are fine, but this one had weird almost crystals on the outside. I used it in a vanilla soap. The color came out perfect, what I wanted - a nice vanilla color. However it must have not melted completely or something as the bottom of my loaf had weird speckles in it. Something from the coloring settled to the bottom after the soap cooled. Luckily, because I used it in a vanilla bean, the speckling fit. But I wouldn't want this to happen in other types of soap. I dont know if the color bar I got is bad or if this has happened to others. COMMENTS: It's darker than I had expected. It worked well, though. I'll just use it for other recipes. COMMENTS: This is true to the color on my computer screen but definitely a mustard-yellow and not sunny enough for what I wanted it for. COMMENTS: It took more then I expected to get the results I wanted. I would only use this in a clear base as it would get lost in white. 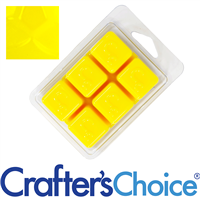 I used this with melt and pour soap and added it to soap that was fluid at about 100 degrees. As it takes a bit of time for the color to melt and see where you are at with the shade, you need a bit of patience to get the most out of it. At times I needed to get my base hotter so I could get my colors coordinated to work with multiple colors. However these are convenient and easy to store and I would purchase again. "Easy to use & great color"
COMMENTS: Another great color bar. I use a bit in my M&P soap and it gives a nice creamy yellow tint to the base. 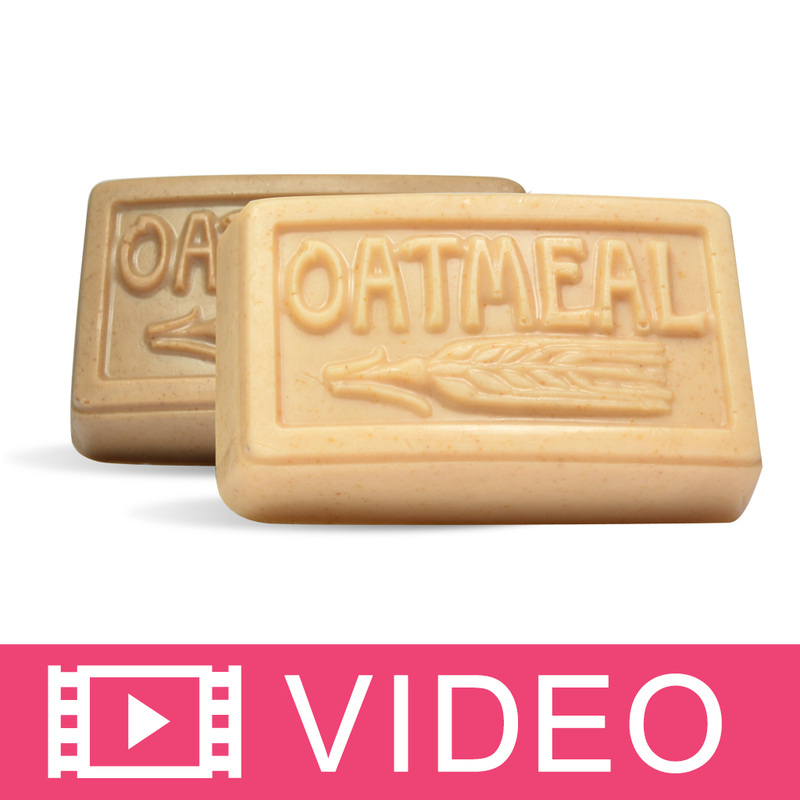 "Matte Yellow Soap Color Bar"
COMMENTS: Perfect for MIZZOU soaps! Melts great. "another great solid color "
COMMENTS: just like all the other soap color bars sold by WSP, this is easy to use and basically idiot-proof as long as you follow the instructions. i like to shave off little strips with a very fine knife to get the desired shade i need. 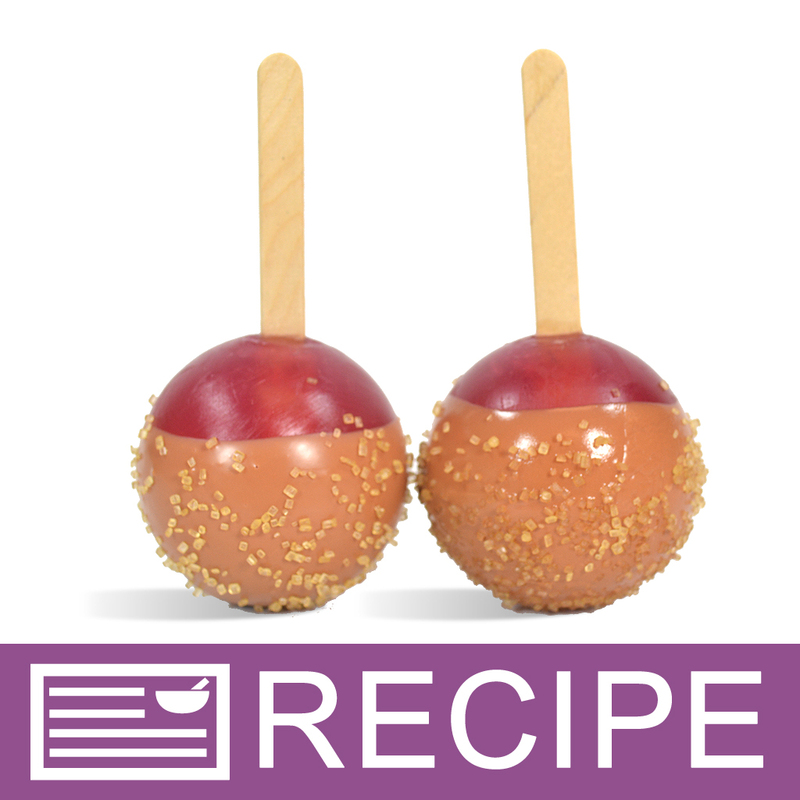 very easy to make custom mixes and shades. does not bleed and is very easy to store in its own little packaging. will be buying more in other colors. 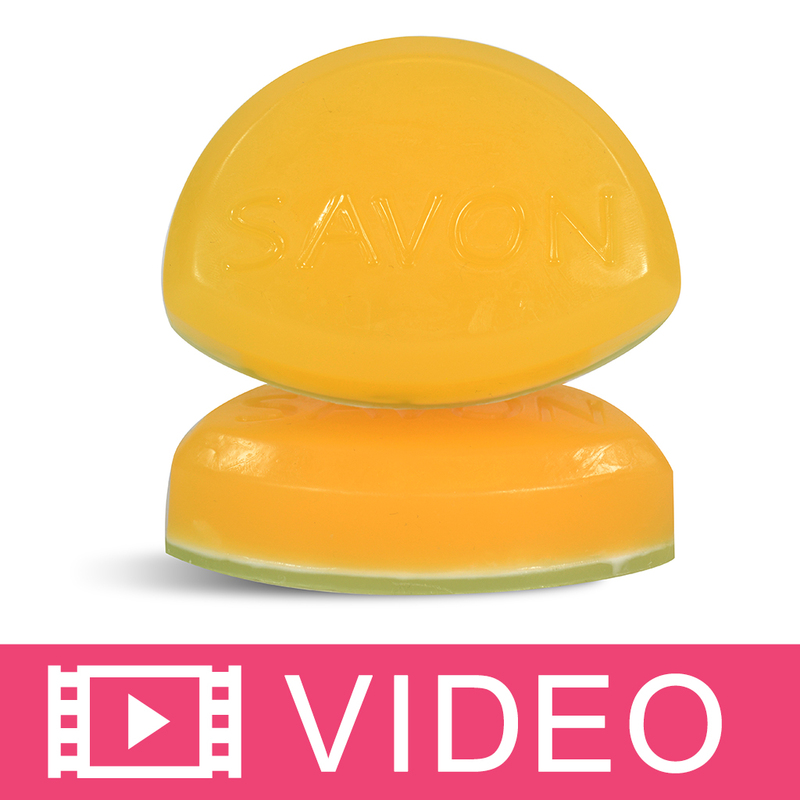 COMMENTS: This color bar is easy to use and makes my soap beautiful. Blends easily with other colors. I love this product. 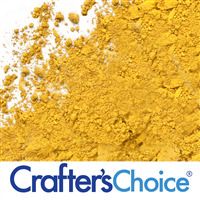 "Not a bright lemon yellow"
COMMENTS: This color worked great in my soaps and blended in well. If you are looking for a bright lemon yellow, this is not it. It is more of a mustard or tan yellow which worked fine in what I was doing. The color bars are so easy to use. COMMENTS: This color is a mustard type color. It's not my favorite color, but It melts well and incorporates well in M&P soaps. COMMENTS: I used this in white a melt and pour base. I didn't like the shade of color. I tried adding more, adding less but just didn't like it. Sorry. Reminded me of brown mustard. Wouldn't buy again. COMMENTS: I love how just one color cube tints 5 lbs. of MP soap! At this rate, the entire soap coloring bar is going to last a looooooooong time. Very economical, and the color is very natural, too. If there is anything potentially negative to say about it is that the color isn't as bright as a thought it would be. 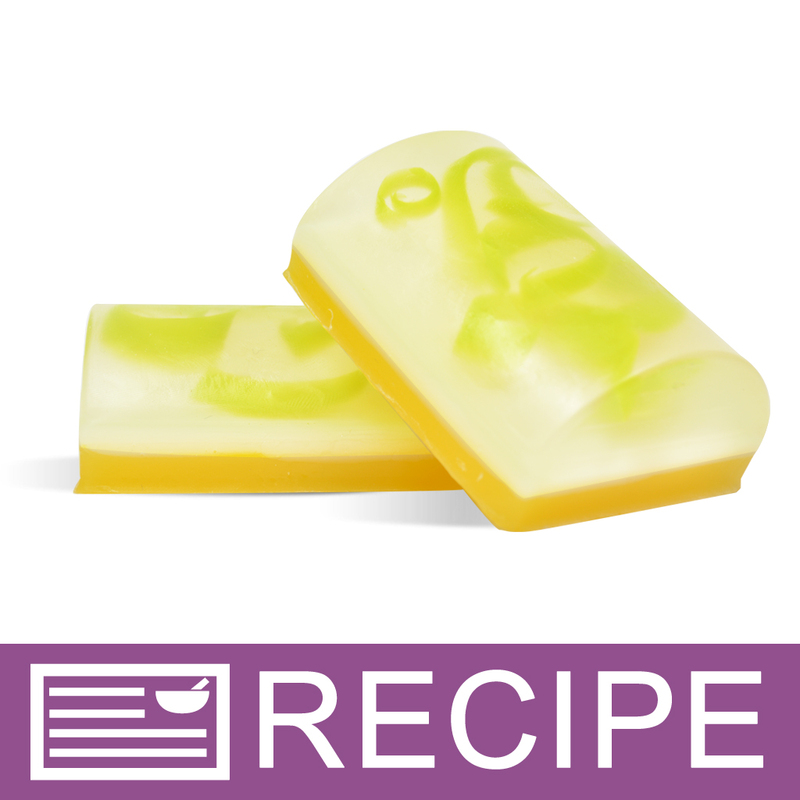 If you're looking for a brighter yellow (this one is pretty subdued), go for the neon lemon color bars. Those are awesome! COMMENTS: Very true coloring. Not much needed for good color. As always, WSP is the best. 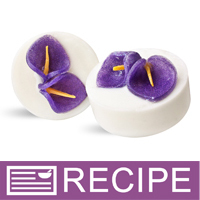 COMMENTS: I have used this in many bars of soap, doesn't take much, easy to use, melts well, and strong color. I like it, but I wish it was brighter. I use a pinch or white base or white color and glitter to make it more appealing,but it does what it says...nonbleeding and that is the most important thing. "can this be used in CP rebatch?"